I recently came across the very talented Charleston artist, Lulie Wallace. Y'all. These paintings are precious. Check out her work: here. If you don't see a piece here that you fancy, you can commission Lulie to create a custom piece for you using a photo. 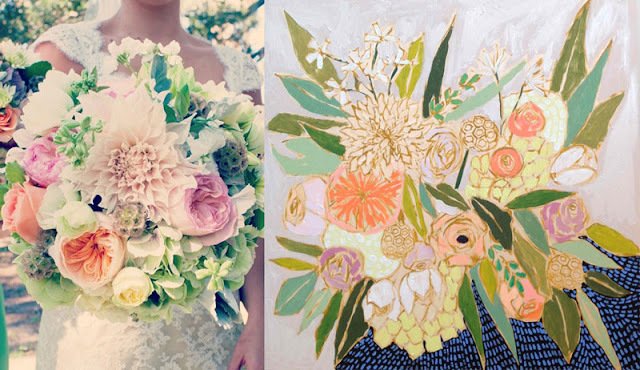 I love the idea of having my bridal bouquet painted and in my house!